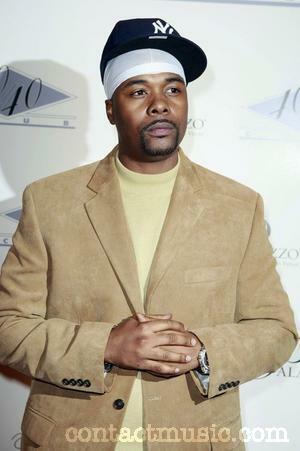 I have no idea how old Bleek is at this point, nor do I care enough to look it up. However, I DO know that he's old enough and has been fortunate enough to be in the proximity of too fkn much opportunity to STILL BE RHYMING ABOUT BEING IN THE F*CKING PROJECT STAIRCASE. Seriously, Bleek should be RICH by now, at least by fkn proximity. Hell, as a hitman...SOMETHING. But, no...he's still in Marcy or some other building of NY's famed project housing system; and he's not gonna let any damned one of us forget that sh*t.
Anyway, here's the vid/song in all it's barely listenable glory. Yes Bleek, I have some thanks for you. Thanks for never, EVER living up to your potential as "The Next Hov" or whatever you've been marketed as for over 15yrs.